Contact us about a free consultation for Fusion Hair Extensions. I’m a Licensed Cosmetologist, Professionally Trained & have personally been wearing Fusion Extensions off and on (more often than not) for the last 7 years. Fusion is not braided or glued. They are bonded to small groups of hair individually so that they appear very natural. Fusion Extensions last 4-6months+, and they come in many different lengths, textures, & colors. 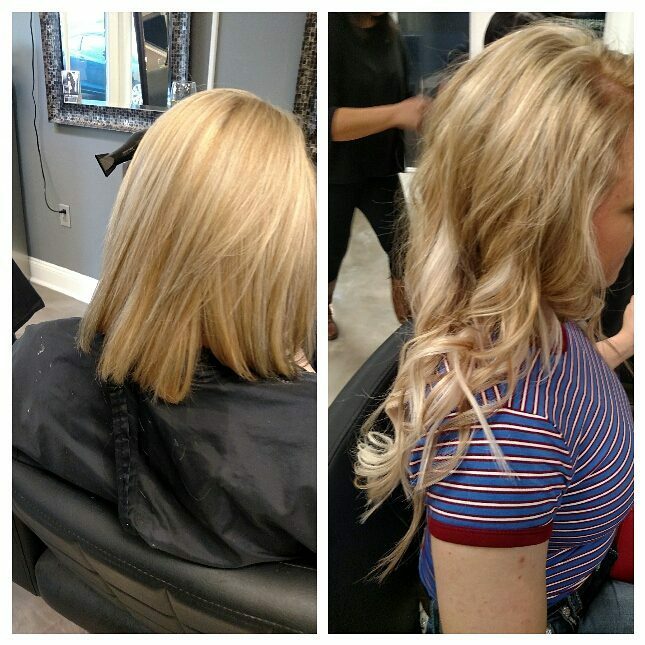 Hair extensions are not just for adding length to hair, they also thicken up thin hair and can add highlights or fantasy color without fading or damaging your real hair. The majority of people that get hair extensions have been unhappy with their hair all their lives. Usually, the reason is because Mother nature gave them less than perfect hair. With hair extensions anyone can have the hair of their dreams. The Hair that I use is exclusively 100% virgin hair, collected from around the world. The virgin hair is gently lightened and colored from shades of the lightest blonds to the richest browns, and even fantasy colors. They are of the highest quality. At the tip of each extension is a thin sheet of keratin. The Keratin is specifically shaped to bond to your hair with a simple application. The keratin tips are color tinted so that they blend naturally with the color of your hair for a nearly invisible look. The quality of the keratin allows you to get 4-6+months of wear out of your Fusion Hair Extensions. With some routine maintenance you can continue to wear your Fusion Hair extensions with just adding a pack of hair (25 +/-Strands) as needed after the 4th Month of wear and then every 1 1/2 months to add additional packs of hair to maintain fullness. Because of the fusion hair extension process of strand by strand application there is no bulky weave or track, in turn your hair has free flowing movement for easy management and a totally natural look. The cost of having Fusion Hair Extensions applied depends of the amount of stands you want to have applied. The average person needs 100-200 strands of extensions to complete a full head. Very thick or short hair may need more. 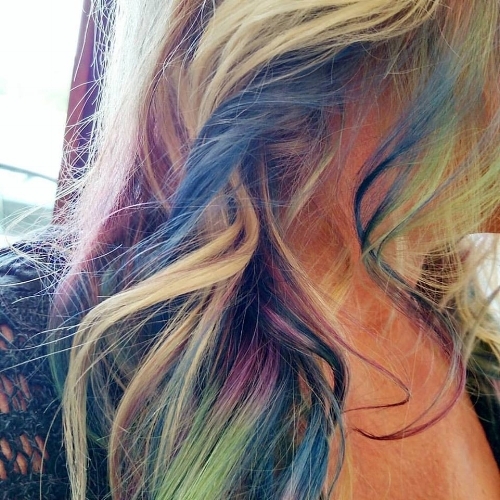 Highlights can be added with just a few strands. The best way to get a price is to come in for a complimentary consultation. The Strand by Strand method works great on all types of hair. Fine-thin, Thick, straight, curly, or ethnic,we can take care of you! Call 910.968.0404 or 910.325.7026 to reserve your complimentary consultation & for more details.